WE CAN DELIVER THIS IMMACULATE 2011 BMW 750Li X-DRIVE TO ANY DRIVEWAY IN THE COUNTRY! 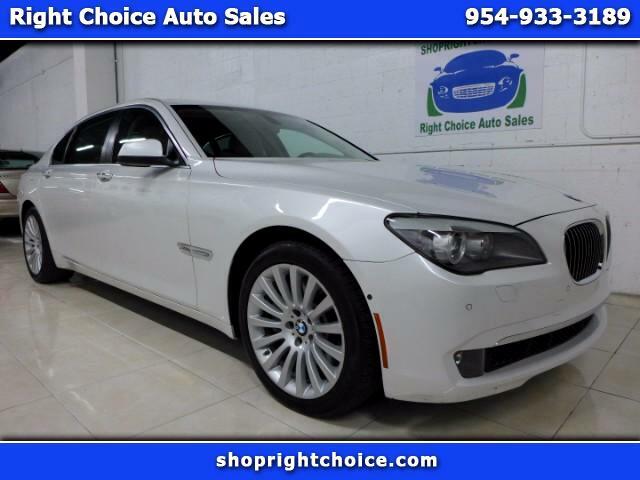 VISIT OUR WEBSITE AT WWW.SHOPRIGHTCHOICE.COM TO SEE 90 PHOTOS, THE FREE CARFAX, AND MORE INFORMATION ON THIS GORGEOUS BMW. JUST INSPECTED AND SERVICED AT BMW OF NAPLES ON 7/13/17 (263 MILES AGO) WITH A FRESH OIL CHANGE, NEW SPARK PLUGS, AND ALL FLUIDS. WE'VE PRICED THIS CLEAN CARFAX, LOW-MILEAGE, ALL-WHEEL DRIVE 750Li PRICED $3,212 BELOW KELLEY BLUE BOOK VALUE SO DON'T MISS THIS ONE!